Hire a cover designer. A great cover design can have a major impact on your sales numbers. For example, romance writer R.L. Mathewson went from selling five or six copies per day of her novel, Playing for Keeps, to over 1,000 per day by updating her cover design. It’s usually worth hiring a professional to create a polished cover that appeals to readers in your genre. Test cover variations with your audience. Have your cover designer create multiple variations and use data to choose your cover design. Test two variations against each other using tools like PickFu, UsabilityHub, or Playbuzz. Unify cover designs in a series. Create consistent branding between books in a series to make purchasing decisions easy for readers. A unified cover and title style often helps readers recognize connected titles and encourages them to purchase subsequent books. Re-launch a book with a new cover. Redesigning a book cover can be a great way to reinvigorate book sales. It gives you the opportunity to “re-launch” your book according to the ever-evolving tastes of genre readers. 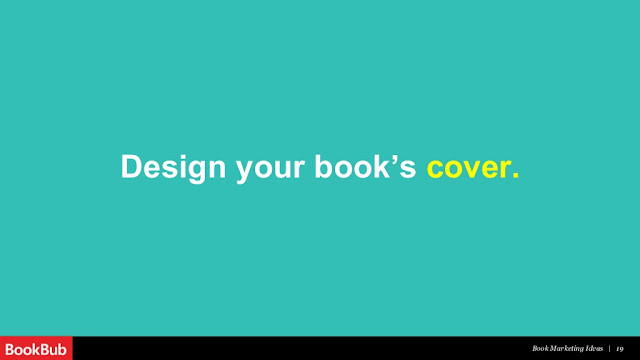 Add a blurb to your cover. If you’ve managed to secure a blurb from a well-known author, consider including it on your cover design. Try to use a short blurb so it’s easy to read and you don’t clutter your design. Bill Borchert Wants to Chat With You!